It is a paradox of history that the decisions and actions of great and noble personalities are least understood by their contemporaries. Whereas their enemies discard them as faulty and therefore gratuitous, the friends are stunned, not knowing what to make of such actions, apparently appearing totally out of place in comparison to the prevailing realities. 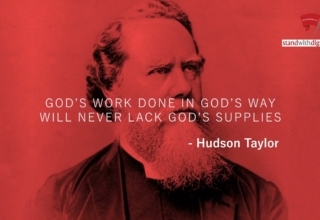 It is only with the passage of time does the world come to admit of its own shortsightedness and its inability to see the logic in the thinking of these great men of vision. This is true in the case of Imam Husain. On the death of Muawiyah, the son of Abu Sufyan, in 60 A.H., his son, Yazid ascended the throne of Damascus, Syria, and proclaimed himself the spiritual as well as the temporal leader of the Muslims. This proclamation, however, was illegitimate as it was invalid: it needed Imam Husain’s unqualified support. Yazid’s only claim to the throne of Damascus was because he was his father’s son. But Muslims knew that Yazid’s father, Muawiyah had risen to that position through machinations and military maneuvers. His betrayal of ‘Uthman ibne Affan by withholding support to him when he needed it most; his foul dealings with Imam Ali at Siffin and after that; and his public and persistent violation of the treaty of peace made with Imam Hasan combined to portray Muawiyah’s incompetence as a ruler. Representative of Prophet Muhammad. Over and above that many prominent companions of the Prophet still remembered the atrocities that Muawiyah’s father, Abu Sufyan, had committed against Islam. All these considerations weighed heavily against Yazid. As if all these were not enough. Yazid’s own personality and life-style were clear illustrations of his unfitness to occupy the office of leadership among the Muslims. In the eyes of a God fearing Muslim Yazid was a devil incarnate. Whereas Muawiyah had temporarily managed to justify his position, as a Muslim ruler behind the façade of the treaty which he had drawn with Imam Hasan, Yazid couldn’t; by the terms of this very treaty the temporal powers that Muawiyah had usurped would revert to Imam Hasan if he was still alive or else to Imam Husain on the death of Muawiyah. Yazid’s claims were therefore illegal and inappropriate by all counts. 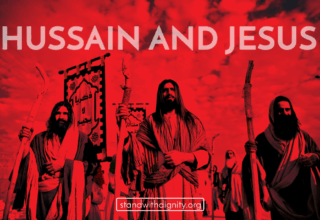 Unlike Yazid, Imam Husain’s status was unique in the eyes of the Muslims since such Prophetic traditions as “Hasan and Husain are the leaders of the youths of paradise” or “Hussein is from me and I am from Husain” were still ringing loud and clear in their minds. Moreover, Imam Husain’s exemplary life-style structured on the teachings of the Quran and the “Sunna” of the Prophet was a glaring guidance for the Muslims wherever they were. They knew that Imam Husain was the divinely appointed leader whose obedience was incumbent upon them under any circumstance. If Imam Husain chose to support Yazid’s claim to the pulpit of the Prophet, what would an average Muslim do but comply? It was therefore vital for Imam Husain not only to refuse to give his oath of allegiance to Yazid, but also to let the Muslim community throughout the world to know of his stand. Imam’s responsibility toward Muslims was understood but his strategy was not. 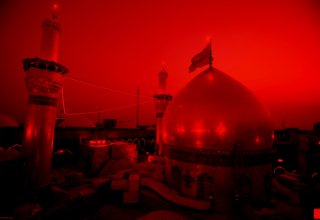 Members of his own family: Abdulla Ibne Jaffer and Muhammad Hanafiya, could not understand why Imam Husain would want to abandon the sanctuary of Medina and instead seek refuge among the treacherous people of Kufa. Abdullah Ibne Abbas, a companion of the Prophet and a supporter of the Imam could not understand why Imam would wish to take along with him to Kufa the womenfolk from the House of the Prophet. The common Muslims could not understand Imam’s categorical refusal to raise an army of his own to match that of Yazid, when this could be done easily in light of the love and respect that the Imam controlled throughout the Muslim Empire. Apparently, Imam Husain had quite a few options to choose from, in dealing with the challenge thrown to him by Yazid’s demand for the oath of allegiance. To ignore the death-threat from Yazid, and to remain in Medina. Friends suggested that Yazid would not be able to carry out his threats so far as Imam was in Medina fearing a massive up-rise against him from the Muslims of Hejaz. To remain in Medina and then to raise an army as a shield against Yazid’s possible military reprisals. To emigrate from Medina to a distant place where Yazid’s mighty army could not reach him instantly. The Imam could either live a life of retirement or if need be he could raise his own army against any future military maneuvers from Yazid. Indeed, this option was offered to him by the chieftain from the clan of Tai when Imam was on his way to Kufa. To leave Medina for a safer place, say Mecca. Then to condemn Yazid publicly and to raise an army. Having done so to ultimately wrest the temporal authority from Yazid by military means. This strategy was suggested by Abdulla Ibne Zubair when the Imam was preparing to depart Mecca for Kufa. Rather than choose from any of these apparently very plausible options, Imam Husain decided to take a different step, the logic behind which could not be grasped neither by his friends nor his foes. Imam choose not to remain in Medina; not to leave Medina as a fugitive; not to raise an army; but instead to walk straight into the lion’s den in Kufa together with his close friends , relatives and members of his immediate family. Why? To answer this question we need to look closely into each of these options which Imam rejected. 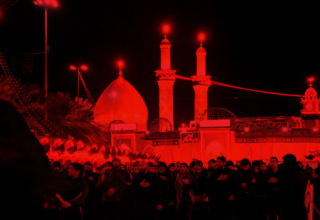 What would have happened to Imam Husain if he had stayed in Medina and defied Yazid? With a hindsight to history we can say with certitude that Yazid would have definitely carried out his threat. Yazid would have craftily and stealthily arranged for the murder of Imam Husain. 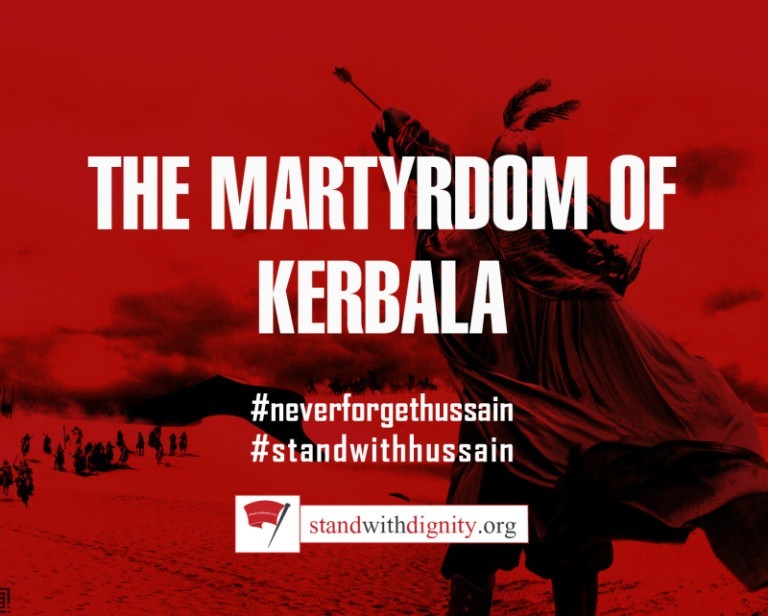 In absence of a clear stand from Imam Husain – having been removed from the scene without any incident – it would have been very easy for Yazid to misguide the Muslims into believing that before his death, Imam had tacitly approved Yazid’s claim as a spiritual leader of the Muslims. Imam Husain therefore rightly discarded this option. Indeed this was the very strategy that Yazid wanted to use against the Imam when he learnt of Imam’s stay in Mecca as we shall see later in this article. Wouldn’t it be better for Imam and his companions to have fortified themselves with a well-equipped and well-manned army in Medina and to have repelled Yazid’s challenge from Medina? Again hindsight information proves that this option would have been disastrous for Imam and for Islam in at least two different ways. Firstly, this would give Yazid a justification to invade Medina – as he did in 62 AH, under the banner-ship of Muslim Ibne Aquaba when the Muslims of Medina rose against his tyrannical rule. The sanctuary of Medina would have been violated (as it happened under the command of Muslim Ibne Aquaba; thousands of Muslims including the companions of the Prophet were brutally killed; many Muslim women were ravished; the prophet’s mosque was desecrated – horses were tied to the Prophet’s pulpit). And Imam Husain would be held responsible for that. Secondly, Imam’s pure mission of saving Islam from Umayyad’s murderous clutches would be misrepresented to mean nothing more than a political struggle for worldly power. Imam Husain saw the pitfalls surrounding this option and he rightly disapproved it. 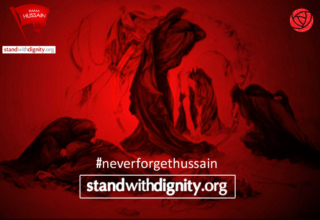 If Imam Husain had immigrated to a distant land, he could have saved his life and that of his family and relatives. However, Islam would have been condemned to a death full of shame and misery. It was inconceivable for Imam to run away from his responsibilities – only uninformed minds can regard this as an option befitting any consideration by the Imam. Having rejected all these options Imam Husain decided first to take refuge in the sanctity of the House of Allah in Mecca. Yazid, on learning of Imam’s move, hurriedly dispatched not less than forty mercenaries in the garb of pilgrims to kill the Imam while engaged in the acts of worship in the precincts of the House of Allah. Imam Husain therefore decided to leave for Kufa in the company of a small group of his very close friends and some relatives. Learning Imam’s intention to depart before even completing the prayers of Hajj, the Muslim’s of Mecca including Abdullah Ibne Zubair – tried to persuade the Imam to stay behind, offering to raise for him a huge army to match the forces of Yazid. Imam politely but firmly turned down this offer. In his parting sermon he clearly explained the essence of his strategy: to denounce Yazid’s claims in loud and clear terms, he would refuse to give his oath of allegiance. If Yazid chose to revert to a military solution, then the Imam would meet such a challenge with the help of those nurturing the pure intention of giving their lives in the way of Islam. Through such a challenge the world would know Yazid’s sullied intentions and save their own faith. Imam insisted: it is through this and this strategy alone can Yazid be defeated and vanquished and Islam be allowed to live. Imam’s strategy had at least three merits. Firstly, it categorically denied Yazid the endorsement to legalize his claims to function as the spiritual leader of the Muslims. By this denial, Imam left no room for Yazid at any time to manipulate Muslims into believing that Imam Husain had tacitly approved his leadership. Secondly, this strategy ruled out for Yazid any justification for a military action against the Imam. Consequently, when Yazid reverted to a military solution, it did nothing but unmasks his evil intentions against Islam and projected him as an oppressor. Thirdly, and in my opinion, most importantly, Imam Husain through this approach established a fundamental yard-stick for Muslim, than and in the posterity to distinguish between the right-full and the fake Islamic leaders. To be a true representative of Prophet Muhammad, one needs to be a follower of Quran and his “Sunna” (in the fashion Imam Husain did) not to live like Yazid whose lifestyle had been described most accurately by no other person than the admirer of the Umayyad’s Phillip Hitti who says, “Muawiyah’s son Yazid was the first confirmed drunkard among the caliphs and won the title Yazid al-khumur, the Yazid of wines……Yazid, we are told, drunk daily…….”. The sacrifice made at Karbala had a purpose to fulfill. The landmarks to truth laid out by Prophet Muhammad were being obliterated by the grandson of Abu Sufyan, the archenemy of Islam. There was a dire need for someone to unmask the Ummayad’s so that they would never succeed in misguiding the Muslims. Imam Husain did just that; with the result that despite the mammoth efforts of the Umayyad’s and the Abbasids (later on) to misguide the Muslims from the right path, the way to truth remained intact. Indeed it is not an exaggeration on the part of the great Muslim scholar, Muinudine Chisti, when he says that had it not been for Imam Husain the name of Allah would have been long (forgotten) destroyed.